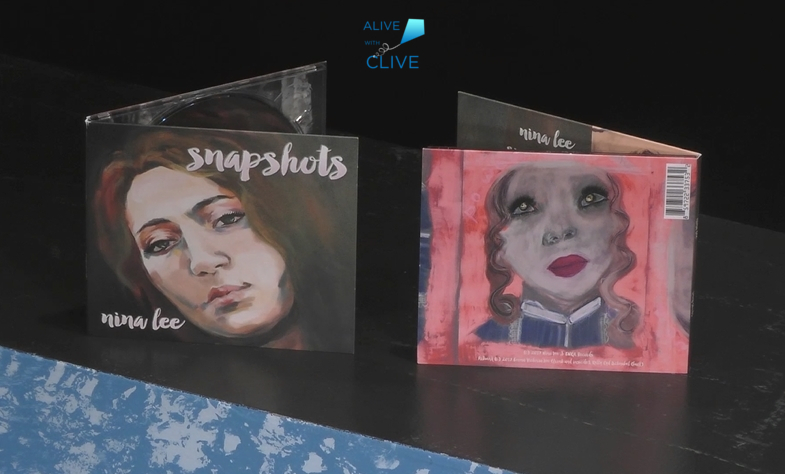 On Alive with Clive: With Her Extraordinary Voice, Singing and Songs, and Her Dad by Her Side, Magnificent Singer-Songwriter, Nina Lee, Invigorates with Love, Light and Inspiration! Why the quote about the splendid torch? And why the Statue of Liberty? It’s because Nina has made it clear that she is not willing to conform to what’s popular or trendy in order to fit in, or compromise who she is to meet someone else’s idea of who she should be. Instead, . . .
Nina Lee is here to have her life burn brightly, like a splendid torch, creating a repertoire of songs about issues in life that are important and have relevance to peoples’ lives. She also reminds us with her song, “Airborne,” that it’s because of the courage, bravery and sacrifice of our ancestors, like her great-grandmother and great-grandfather, a paratrooper who fought on D-Day in World War II (seen in the picture taken on their wedding day, below), that we’re able to enjoy the life and liberty we have today — and therefore, with the gift of life and opportunity we have been given through the hardships others have endured, we are being called to use our gifts and talent to contribute to the enhancement of life for all who are inhabiting the planet. Plus, with her powerful stage presence, Nina commands attention and respect – like the Statue of Liberty with her splendid torch held high! Following in the footsteps of Amy Winehouse and Adele, with the recent release of her debut EP, Snapshots (featuring a portrait of Nina painted by her sister, Emma, on the front cover, and a portrait of Nina by painted by her mom, Kelly, on the back), and with recent shows at Rockwood Music Hall and The Bitter End in New York City, at the age of 18 Nina is already beginning to win the hearts of a rapidly-increasing base of adoring music fans with each passing week. “Gotta Catch My Breath” is about setting boundaries to pause and reflect instead of reacting to every stimulus. “Airborne,” as noted above, is a tribute to Nina’s paternal late great-grandfather and her great-grandmother, to acknowledge the inspiring life they created for themselves and their family. Though Nina speaks of a time when she was bullied, ironically, for writing an anti-bullying song, she has demonstrated that she has the resilience to overcome adversity, excel, and inspire others to shine – with the support of her loving family, friends and fans. 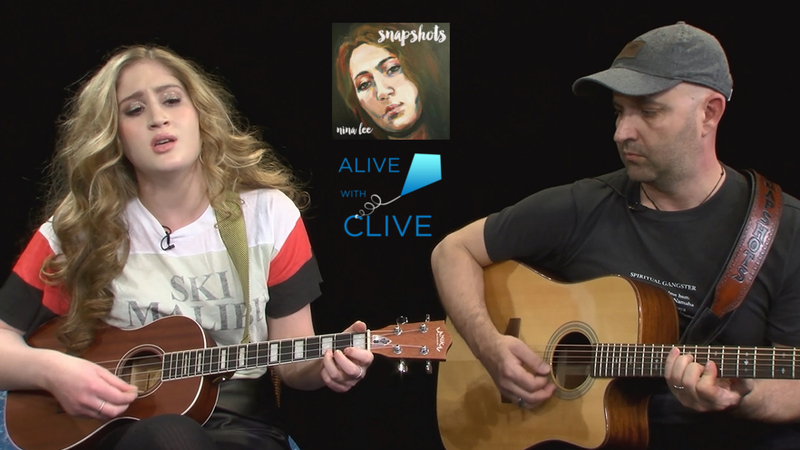 You’ll most definitely enjoy seeing Nina Lee with her dad, Andy Lee, in their 1st Show and 2nd Show on Alive with Clive! http://alivewithclive.tv – where today’s top singer-songwriters thrive! DID YOU KNOW YOU CAN HAVE FUN AND WIN PRIZES IN THESE 3 CONTESTS? 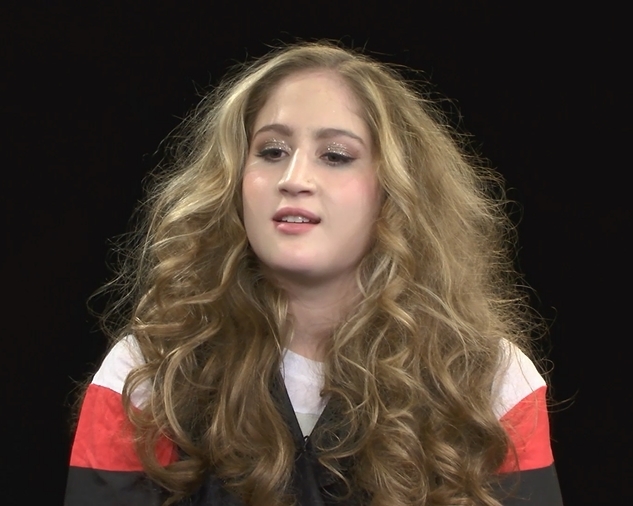 On Alive with Clive: Currently a Student at Berklee College of Music, Compelling Singer-Songwriter Lillimure Shares Intimate and Thoughtful Songs about Relationships and Life to which We Can All Relate! 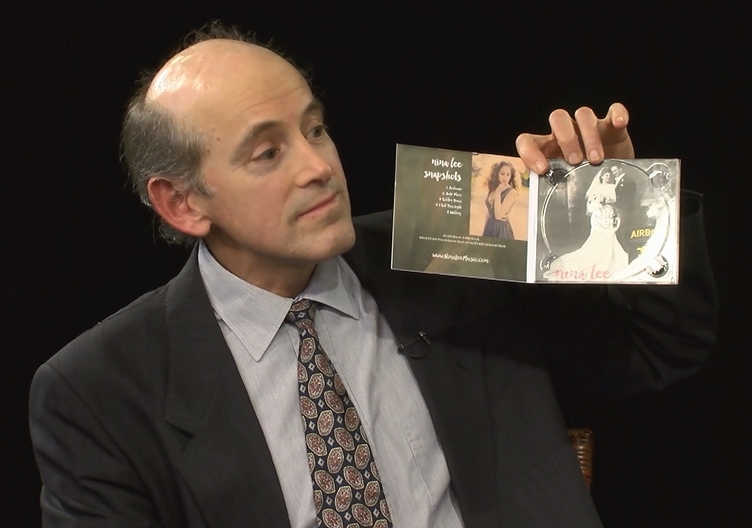 On Alive with Clive: With Prolific Poetry, Majestic Melodies and Stimulating Self-Expression Mike O’Malley + Beastie Band Shines a Spotlight on Toxic Masculinity and Other Intriguing Aspects of the Human Experience! On Alive with Clive: “Come Take a Ride” with Classically-Trained Singer-Songwriter, Katie Garringer, and She Will Not Only Inspire You to Find the Courage to Fulfill Your Dreams, But Also Bedazzle You As She Sings Her Song “Kerosene” on Her Ukulele with Only Three Strings! On Alive with Clive, After a Courageous Shift in Mindset to Pursue Music, Singer-Songwriter Danny Fishman Demonstrates Inspiring Progress on His Journey to Self-Discovery and Self-Actualization! 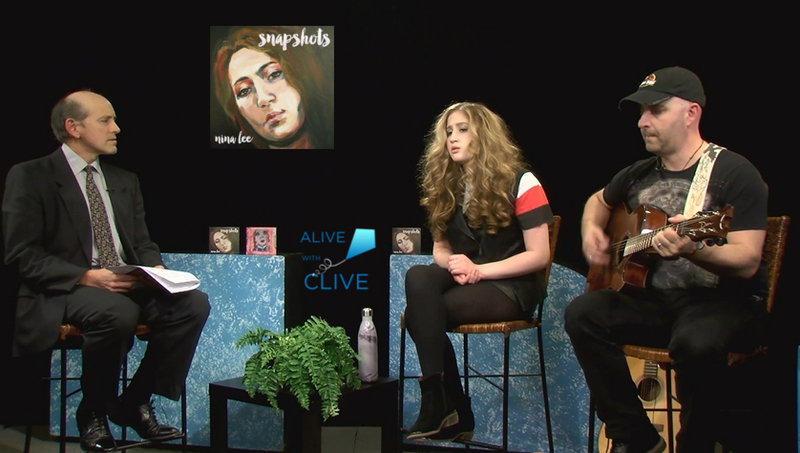 On Alive with Clive: Dynamic Singer-Songwriter, Paige Howell, accompanied by Anthony and Steven Babino, Captivates and Invigorates with an Exhilarating Mixture of Sweetness, Vengeance, High-Octane Energy and Charm!